These have to be one of my favorite go-to small diaphragm condenser mics. Using two 141s as a stereo pair for drum overheads works a real treat handling the high end extremely well, while at the same time retaining a natural and transparent sound across the full spectrum of frequencies. 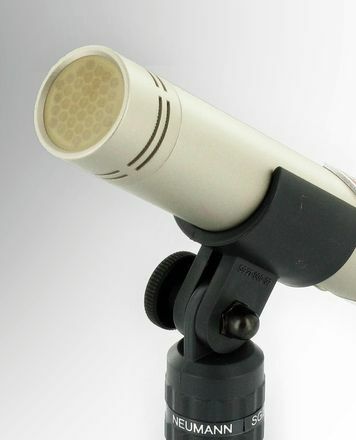 I have made great use of it in the studio on wind instruments, specifically tin whistle, classical flute and clarinet as a mid distance mic but works just as well as a near mic depending on the instrument. Bright stringed instruments shine really well using the 141 and I have had great results recording mandolin, steel string guitar and nylon guitar. In live situations the Shure KSM141 handles extremely and is really at home handling acoustic instruments while its rugged design also helps it fit right in on the road or on or out on location. During a live performance of a large acoustic ensemble I miced a fiddle and flute with 141s and the separation and control they gave me was outstanding and never once had any unexpected feedback issues or unwelcome surprises. The selectable polar pattern option gives great flexibility with a cardioid and omni pattern option, while the low cut filter and gain level switches helps it adapts into a huge range of stage and studio uses. Using two 141s as a stereo pair also work great as room or ambient mics. 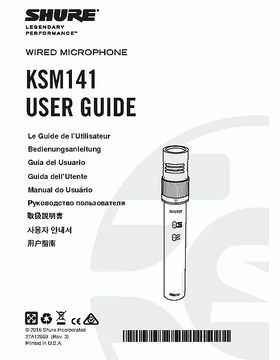 Considering the features, sound quality, design and adaptability of the Shure KSM141 in my opinion the value for money is quiet good given the amount of applications and use it will see during what I hope to be its long life with me in the studio and also for live situations.  ID: 108318 © 1996–2019 Thomann GmbH Thomann loves you, because you rock!